Contest #434: Lijiang Old Town, Yunnan, China – Where On Google Earth? 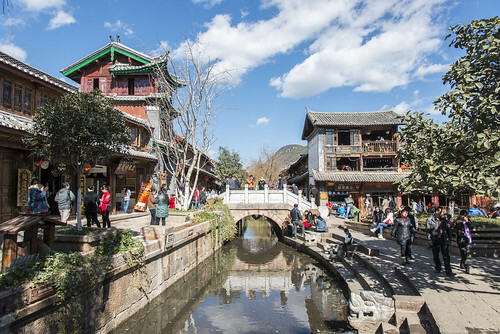 Inscribed as a World Heritage Site in 1997, Lijiang Old Town is a millennial aged town of incredibly diverse influences. Because the city sits on the “Old Tea Horse Caravan Trail”, it was a meeting place for a vast array of traders from a wide variety of cultures, many of whom contributed to the unique lifestyle and ambiance of the town.